Birthday Week officially begins today; tomorrow starts a month long celebration (there are tons of June birthdays in our group). Wednesday, Thursday, Friday, and Saturday of this week, are all days I celebrate the births of people I know and love. Friday is not only the birthday of one of my dear friends, it is mine as well. I have been trying very hard not to freak out, or get depressed over the fact that I turn 50 this year. Recently, I’ve heard myself say things like I don’t feel 50 and that thought started me to ask, “What is 50 supposed to feel like?”. When you are a kid, the thought of turning 50 brings up images of wheelchairs and retirement homes. As you age, it still seems ‘old’, but maybe not to that extreme. The thing is, no one tells you that once you hit a certain maturity level, you may have small amounts of growth here and there, mentally – but you really are not going to feel any different. Now, of course your body begins to move a little slower, but that typically takes a little time for you to start noticing. 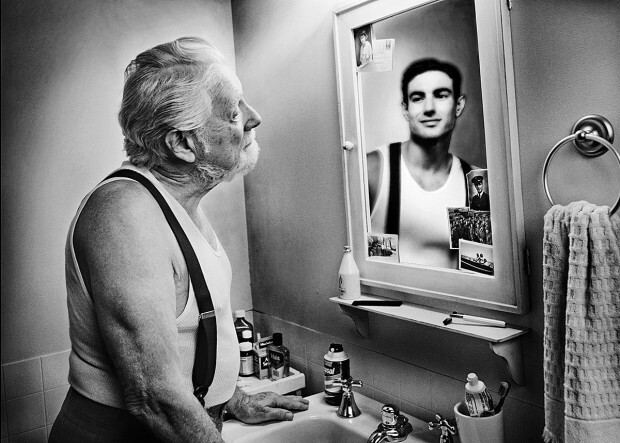 It just seems like you wake up one morning, look in the mirror, and wonder who the heck that old person is looking back at you?! Your memory may be a little off now and then, and you start to notice a wrinkle here and there, a few gray hairs starting to show up all willy-nilly, but YOU are still you. I’ve been on and off the verge of panicking for a few months now. I have been anxious, and irritable, more so than normal. So I decided to tun to the one person I have seen handle age with a great deal of enthusiasm – Oprah. I remember watching Oprah’s show when she turned 50, eleven years ago; remember thinking that’s how it’s done. So I went looking to see what I could find in the way of advice, Oprah Style, I found some bits of wisdom to help calm me down, but I also found a little validation for many of the thoughts, emotions, and questions I have had during my last year as a forty-something. There is no old age. There is, as there always was, just you. So now, instead of fearing it, I am trying to embrace my age. Does this mean that now I have no problems with being in a new age category? Absolutely not! I still have moments where I start looking for the paper bag. I am, however, getting there. I’m taking baby steps, but at least now the general direction I am headed, is forward. Besides, if I am looking at it realistically, getting older is better than the alternative.